The reviews for "Guardians of the Galaxy" are out of this world, especially for a CGI-heavy summer blockbuster. Chris Pratt stars in this latest entry in the Marvel universe as the leader of a group of reluctant inter-galactic super-heroes. Zoe Saldana plays the green-skinned Gamora, while Bradley Cooper and Vin Diesel lend their voices to the action flick, which is primed to pull in big bucks when it opens in theaters this weekend. The tone of "Guardians of the Galaxy" serves in sharp contrast to previous Marvel efforts, like "The Avengers." The characters here take themselves much less seriously, and there's plenty of humor to be had over their C-List status in the comic book universe. Manohla Dargis, New York Times: "That there's a palpable directorial sensibility in 'Guardians of the Galaxy,' along with other signs of genuine life, helps separate this latest Marvel cash grab from a lot of off-the-rack movie cartoons. Here, a pulse, wit, beauty and a real sensibility have been slipped into the fray, alongside the clockwork guffaws, kabooms and splats." Claudia Puig, USA Today: "It may have been a lesser-known Marvel property, but 'Guardians of the Galaxy' is recognizably winning summer fare." 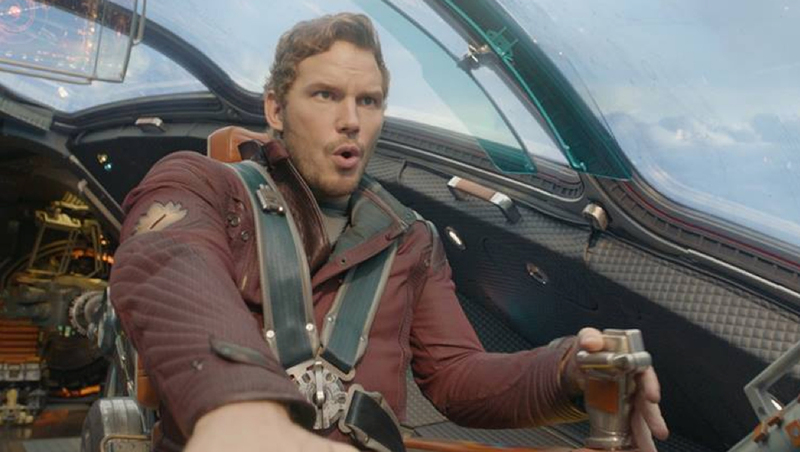 Justin Lowe, The Hollywood Reporter: "Casting is key to the movie's effectiveness, and while Pratt's resume may not immediately scream 'action hero,' he dons the mantle with obvious enthusiasm." Stephanie Zacharek, The Village Voice: "Even when characters strut around dropping hefty expository bundles like 'Ronan is destroying Xanderian outposts throughout the galaxy!' they do so with a wink. But by the end, you'll have been winked at so much you may think you've been staring at a strobe light for nearly two hours." Michael O'Sullivan, Washington Post: "It's the funniest of any Marvel movie yet, lending the film a lightness that goes a long way toward deflating the grandiosity that sometimes inflates and bloats the studio's films. Rene Rodriguez, Miami Herald: "Watching the zippy, ebullient 'Guardians of the Galaxy,' you wonder 'Why can't all comic-book movies be this much fun?'"